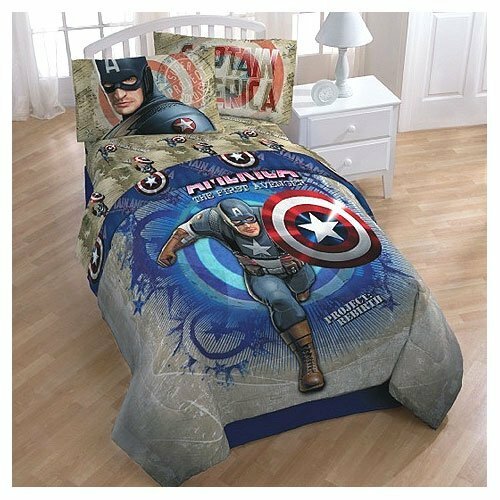 What boy (of any age) wouldn’t appreciate some bedroom decor in the spirit of the First Avenger, Captain America. 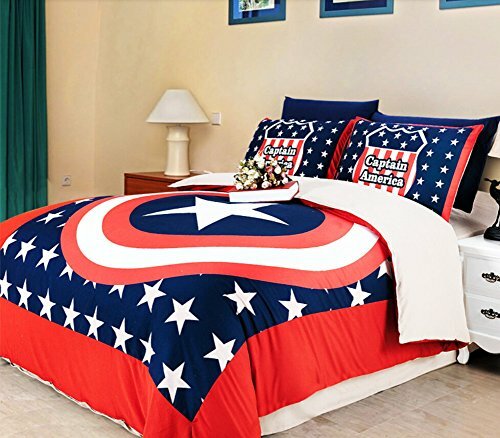 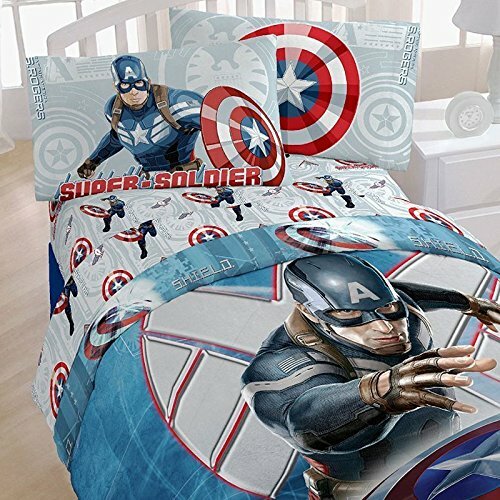 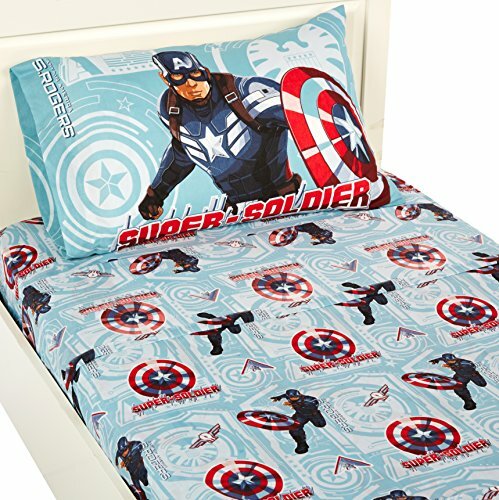 The fun thing is checking out all the bedroom decorating ideas that are available in the Captain America bedroom theme. 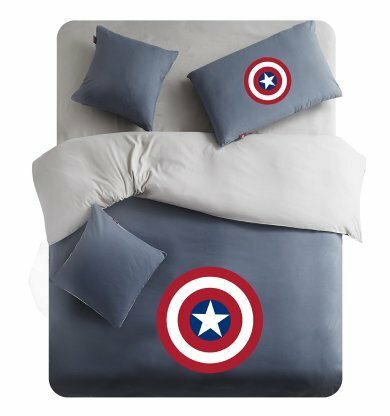 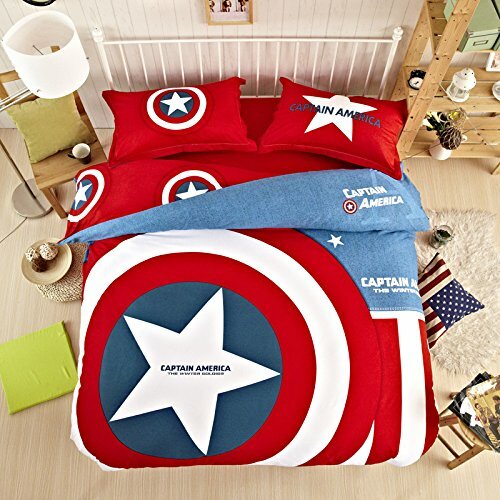 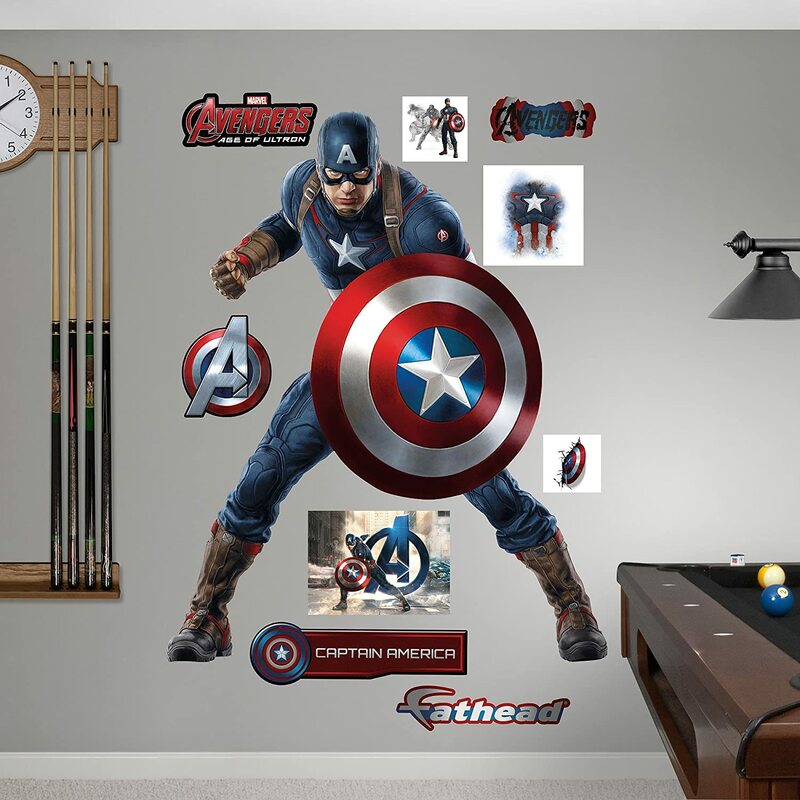 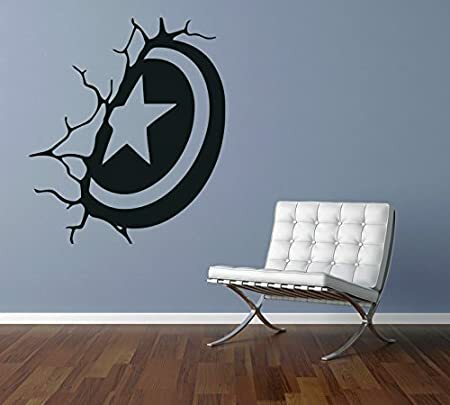 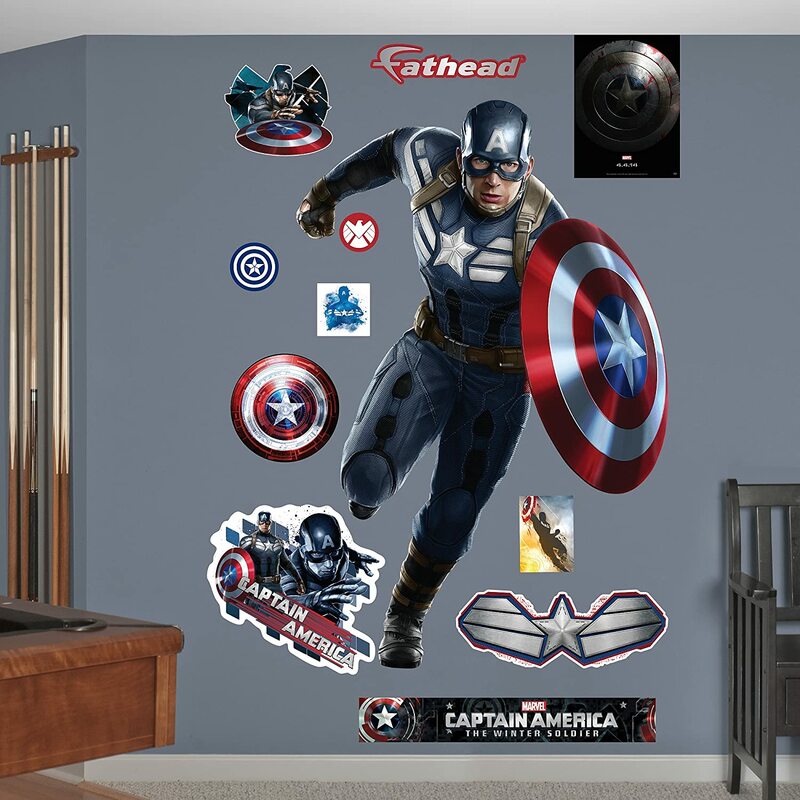 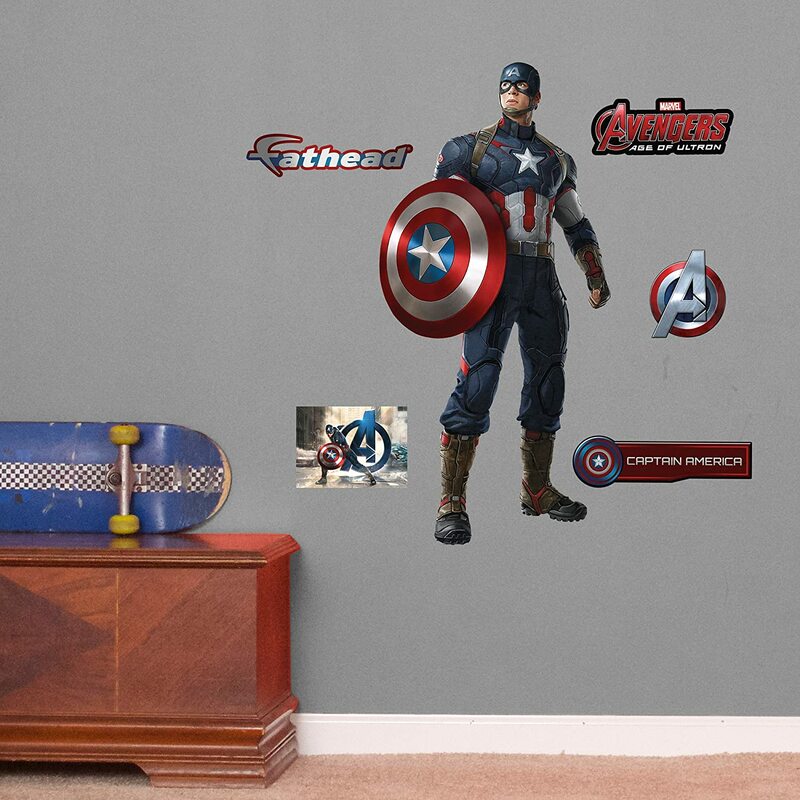 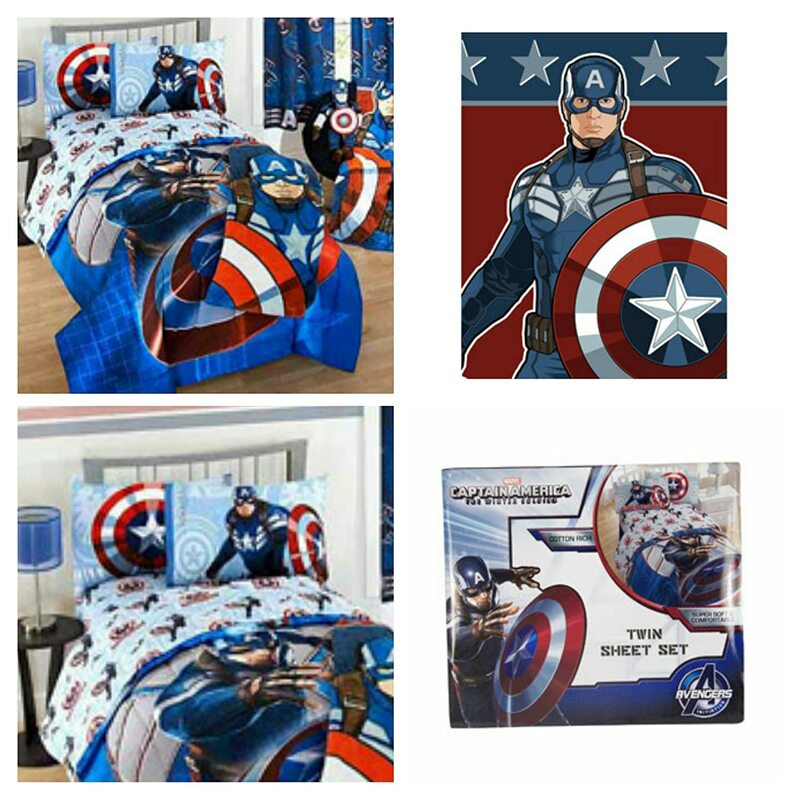 I mean, Captain America bedding is awesome, but why not pick up a wall decal, pillows and a couple more pieces. 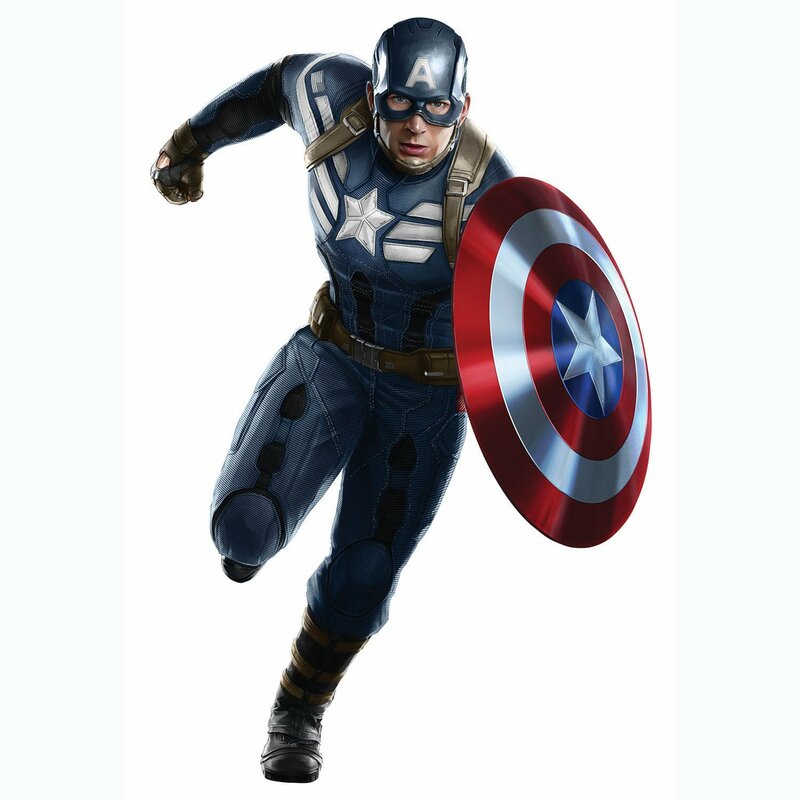 Captain America is pretty much the coolest guy in the world, right now. 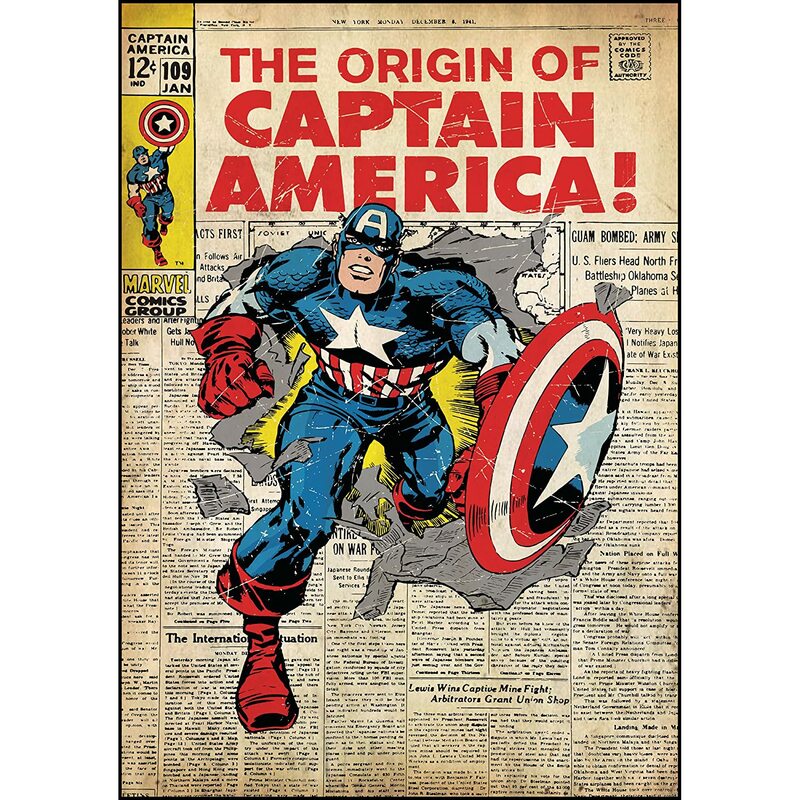 Actually, he has been since World War II, right? 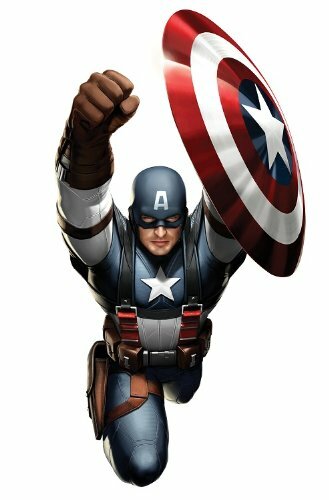 Cap is gaining new fans right and left these days with the release of his movies. 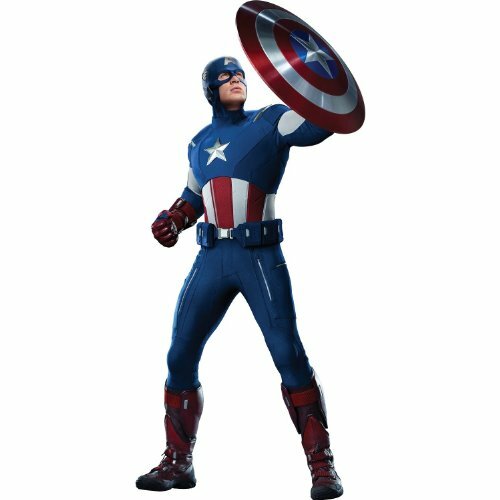 It’s no wonder either. 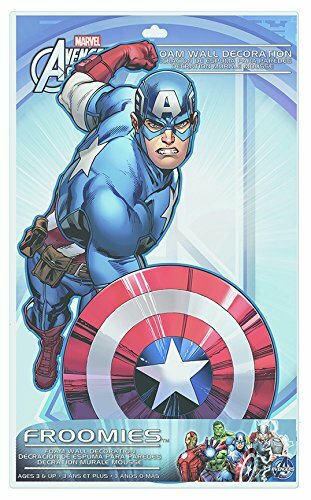 Today’s technology makes it possible to enjoy our First Avenger just as we imagined him when we read his comics as kids. 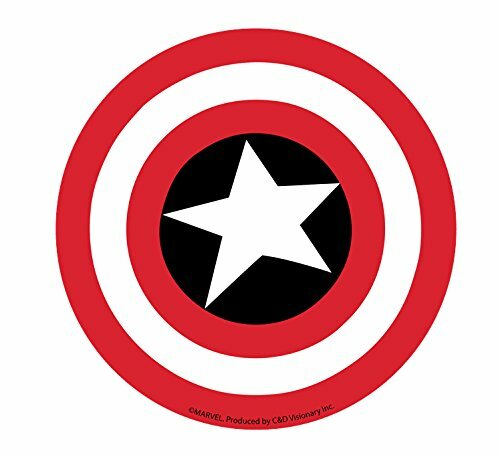 Now that I’ve given away my age, I can say that I’m a HUGE fan of all the new Marvel super hero movies. 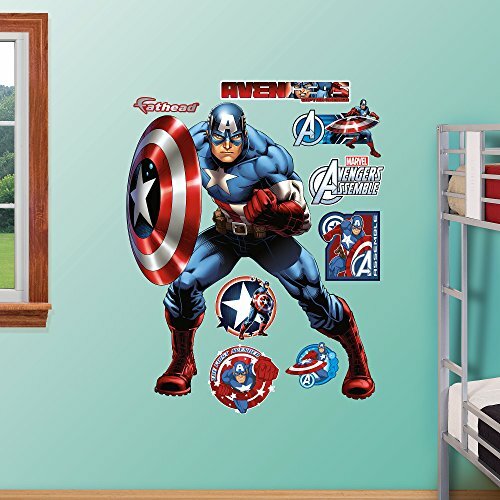 Even the college guys will enjoy Captain America bedroom decor for their dorm rooms. 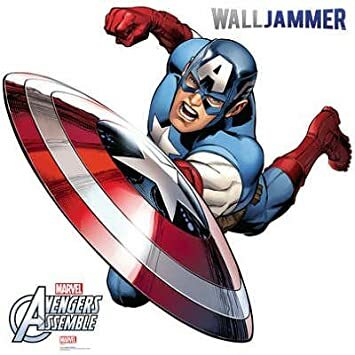 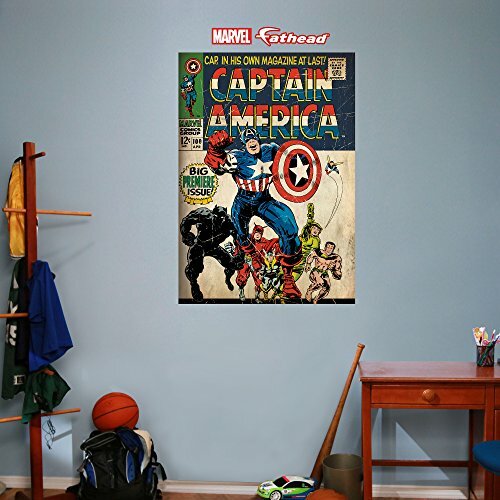 There are whole groups of great bedroom decor available in the vintage Captain America as well as the modern day depiction of one of America’s most beloved superheroes. 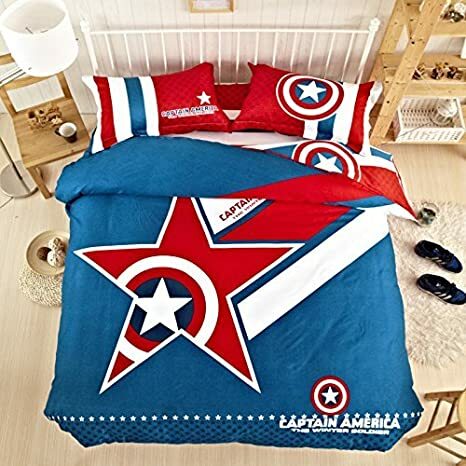 So whether you’re a fan of vintage Captain America or today’s First Avenger ~ you’re sure to find something fun for your best guy’s bedroom. 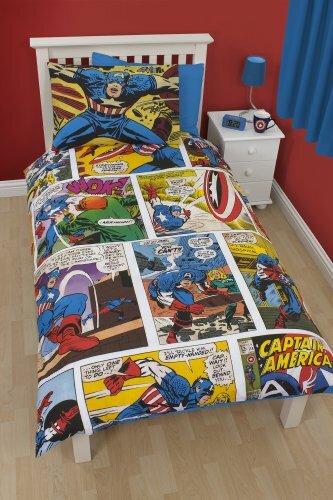 Some of this Captain America stuff is so cool, I may pick up a little something something for my husband! 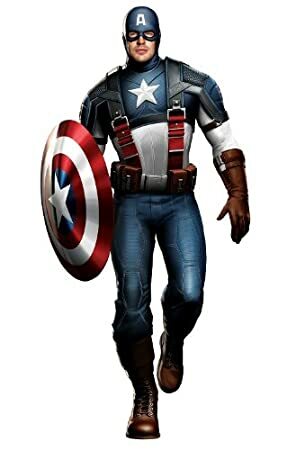 Personally, I have to say I’m a bigger fan of the modern day Captain America. 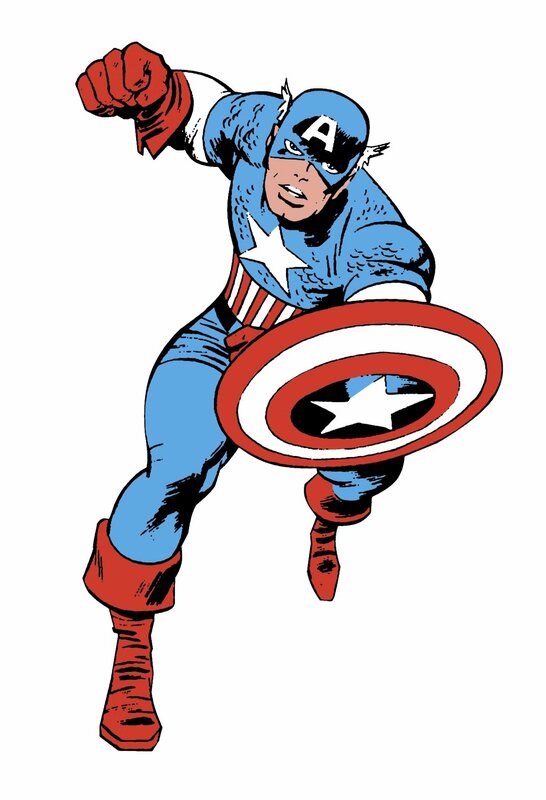 Don’t laugh, but the little wings on vintage Cap’s…cap just didn’t do it for me. 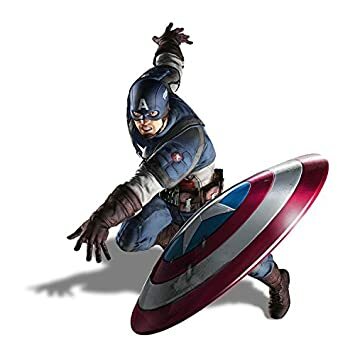 It’s not a wing thing, because I LOVE Thor’s helmet, but it just didn’t work for Captain America, in my opinion. 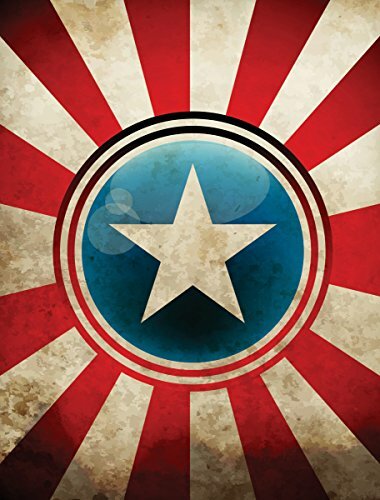 Which version of our First Avenger do you prefer? 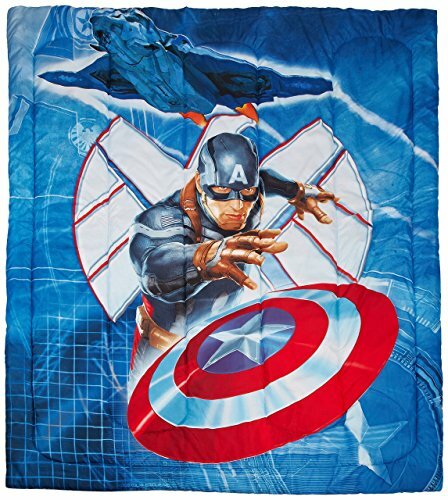 NEW Marvel Captain America Nogginz Pillow & Blanket Set-Super Soft 60" x 90"